Cosmos HealthCare is a small Christian Health and Development organisation based in Perth, Western Australia. We are a fully registered charity with tax deductible status. Please help Cosmos HealthCare raise funds to continue their vital work. Zimbabwe - We have been working in Zimbabwe since 2009 and are currently focusing our efforts to support programs in struggling rural and peri-urban communities in the south of Zimbabwe in Matabeleland. Papua New Guinea - In 2018 /19 we are reaching out into the East Sepik Province on the north coast of PNG. The health system is struggling and we are investigating ways in which we can help with professional development for health professionals and in cervical cancer screening. BUILD CAPACITY - We work with our partners on all areas of governance, empowering them to deliver better health and development programs. MOBILE HEALTH SERVICE - Enabling teams of Zimbabwean nurses to get into rural areas to improve peoples access to quality clinical care. HEALTH EDUCATION - providing health education to help prevent diseases and improve the general health and well-being in communities. MEDICAL TEAMS - teams of volunteer health professionals travel from Australia each year to Zimbabwe to support our partner's health projects. WATER & SANITATION - we implement carefully planned water-related development projects (water pumps, wells, rainwater harvesting, toilets etc) aimed at increasing access to clean water and good sanitation. 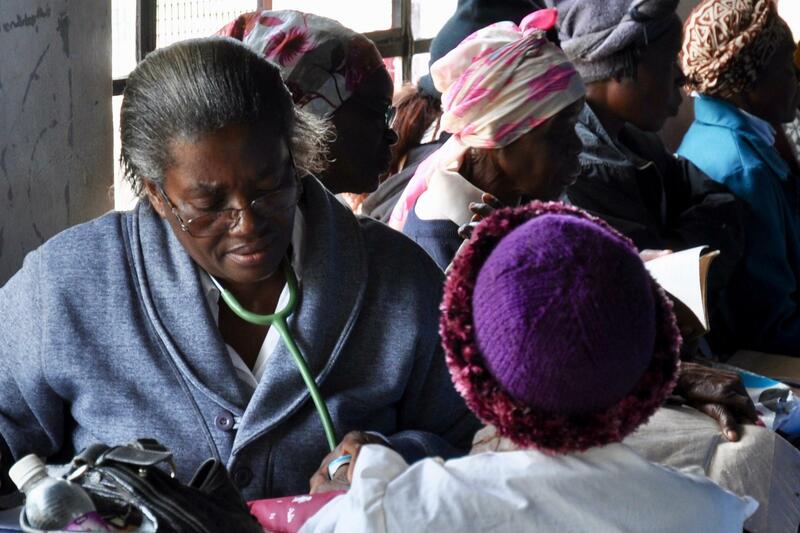 EMPOWERING HEALTH PROFESSIONALS - providing training support for Zimbabwean health professionals.